This house is a new construction Model Home Example and not the actual house being built. *SB home shown has custom and optional features. Please ask agent for standard feature list* Available options include 4 or 5 bedrooms and 3.5 to 4 bathrooms, carriage house, etc. 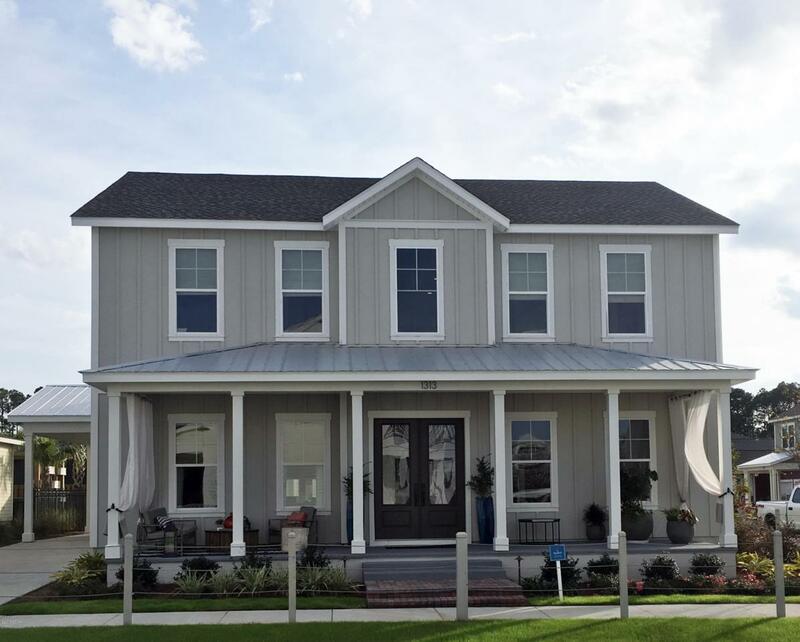 Samuel Taylor homes are truly one of the best constructed homes in Bay County. We build our homes with 2x6 exterior studs vs other builders using 2x4's. Not only is it a stronger home, but this also allows us to put R-19 in the walls instead of R-13. We also use R-38 in our ceilings vs R-30 like most builders. We insulate most of the interior walls to make a very quiet home. SS appliance package is standard along with brushed nickel faucets, 8 ft. doors throughout, granite counters in kitchen and baths, raiseraised vanities with under mounted porcelain sinks, SS gas oven, over sized tiles, upgraded carpet with 8 lb. padding and much more! Choose from 3 exterior elevations: Classic, Coastal, or Boat builder. Pick from traditional style garages or our detached garages with optional carriage home above, perfect for the college student, guests or in-law quarters. SweetBay offers biking and hiking trails, a boathouse to launch canoes, kayaks and paddle boards, a permitted marina, community pool, several parks, ponds, children's playground, planned township with a major grocery store and many shoppes. Everything is within a 5 minute walk or less. University Academy is the center of this beautiful community. The Academy is the #1 school for math and reading for the Bay County District. Your children are automatically enrolled with purchase of a home. Currently there are over 800 on the waiting list to get in to the school. Come see what everyone is talking about! Listing provided courtesy of Coastal Sun Realty Llc. Listing information © 2019 Central Panhandle Association of Realtors MLS.